Nearpod today announced an initiative to provide premium access to members of the International Society for Technology in Education (ISTE). Nearpod is committing up to $10 million in premium digital content to lSTE members and expands access to webinars, articles and other resources designed to instruct and support teachers on how to best use technology for learning and teaching. 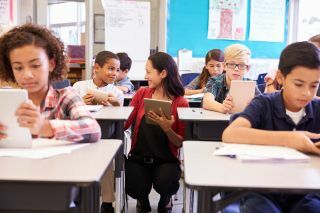 The initiative will also connect ISTE and Nearpod members with edtech experts through exclusive ISTE Professional Learning Networks (PLNs) that offer topic-focused learning opportunities and online discussions. The partnership combines Nearpod’s library of 6,500 standards-aligned, Ready To Run k-12 lessons and professional development workshops with ISTE’s expert content and resources in professional development. Teachers who are ISTE members get Gold Level Access to Nearpod and $100 voucher to spend in the Nearpod store. Nearpod users can gain access to a discounted ISTE membership here.